Notes ranging from high to low graced the stage featuring tunes from Italian operas, rock jams with electric guitars riffs, and numbers from the musical West Side Story in this weeks student lead rendition of the Thursday concert series. 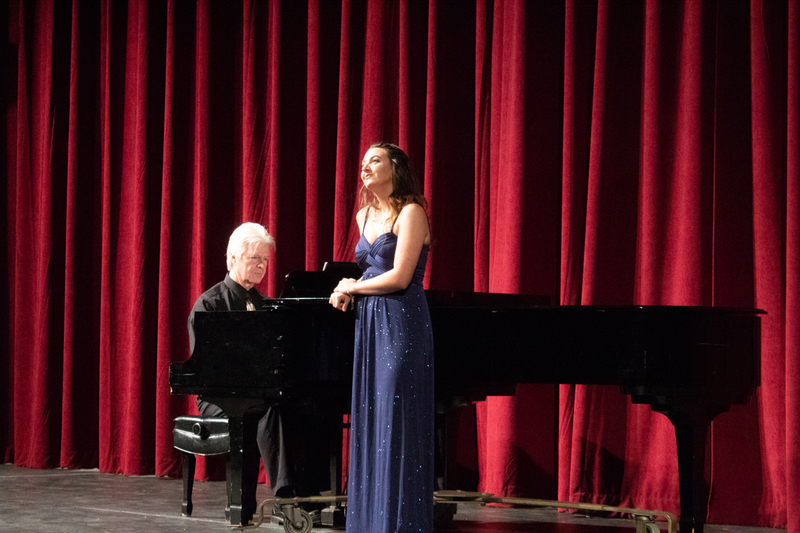 The Applied Music Program (AMP) held a concert in the Performing Arts building where students were given the opportunity to display their skills. The lights dimmed and the first performer came out. The audience was engaged and focused on Leslie Lopez, one of the singers. Her first song was Già il sole dal Gange, an Italian opera composed by Alessandro Scarlatti. The piano work of Lance Merill, the accompanist, complimented Lopez’s high notes. Her second song was I Feel Pretty from the critically acclaimed musical West Side Story. Lopez’s lively rendition of the song brought to life the role of Maria (the female lead in West Side Story). The next artist was Grigor Vartevanian on the flute, playing Vartevanian Sonata for Flute in E Flat Major by J.S. Bach and Three Preludes for Unaccompanied Flute by Robert Muczynski. The flutist captured the audience with his rhythmic finger motions and focused demeanor. Sahand Zare on violin performed afterward. Zare gently moved the bow up and down changing the pitch for Gavotte en Rondeau by Boch. The second song, Violin Concerto No. 3 in B minor, Op. 61, sounded like a good mix of excitement and panic in violin form. Noe Centeno sang Asturiana, a Spanish song from Siete Canciones Populares Españolas composed by Manuel de Falla. His clear and deep voice could be felt throughout the auditorium. His second song, O Del Mio Amato Ben by Stefano Donaudy, was just as intense as the first. Samantha Rosenberg, a singer, was relaxed and composed. Her first song was Pur Discesti, o Boca Bella by Antonio Lotti. Rosenberg reached all the high notes with complete ease. The next song was I Could Have Danced All Night by Frederick Loewe. It was a striking contrast from the Italian number. 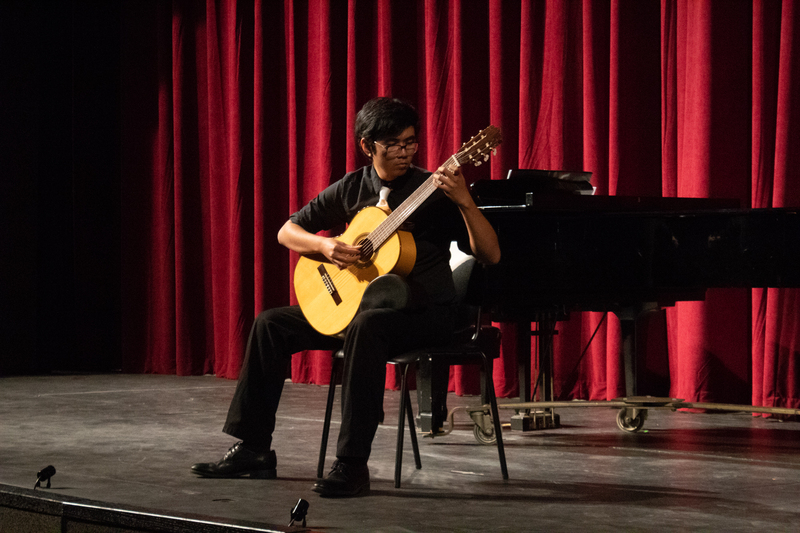 The accompanist stepped off the stage and the guitarist, Kevin Nguyen, entered. Nguyen performed Minuet in C by Fernando Sor and Bagatelle No. 2 by William Walton on acoustic guitar. Nguyen seemed to lose himself in his music. Nathan Gonzalez walked on stage with his arms raised, anticipating applause. Gonzalez, a guitarist, brought a playful presence to the stage. He played St. Thomas by Sonny Rollins and Now’s the Time by Charlie Parker. His red, electric guitar matched his red tie. 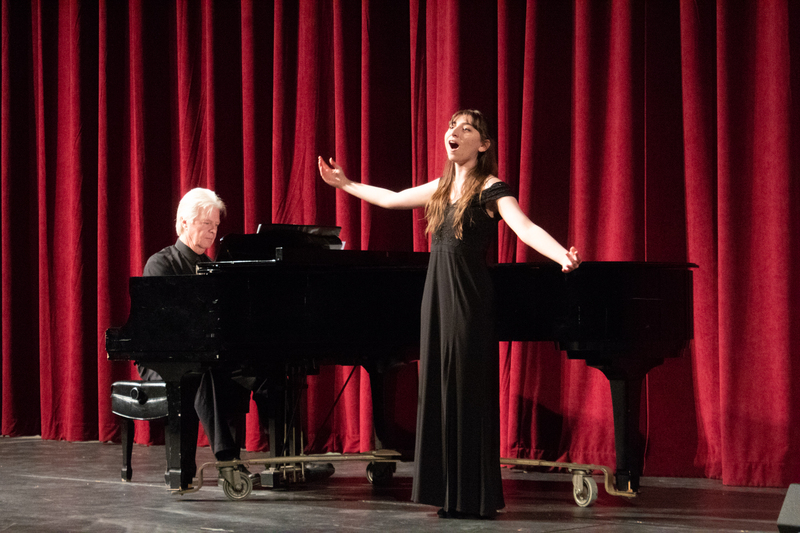 Cassandra Leisher, a singer, performed Vittorio Mio Core by Giacomo Carissimi and Cloud Shadows by James H. Rogers. Leisher’s rendition of Cloud Shadows was passionate, as if she truly wanted to ride the clouds as the lyrics suggest. Lastly, Abtin Hamedani, a violinist, performed Violin Concerto No. 3 in G major, K. 216 by Wolfgang Amadeus Mozart. The AMP holds auditions at the beginning of each semester. Those who get into the program are given one-on-one lessons each week. The program is open to all music majors who are willing to meet the requirements. Spring auditions will be held Feb. 8 2019. Those interested must submit an application, which can be found at www.piercecollege.edu/departments/music/appliedmusic.asp, by Feb. 6, 2019. For further information, students may contact Dr. Wendy Mazon at mazonwe@piercecollege.edu.